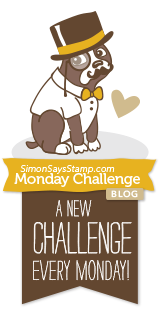 It's Monday and that means a new Simon Says Stamp Monday Challenge! This week it's all about World Traveler. As summer break has started, the traveling has begun! I would love to travel around the world, maybe it will happen some day. For now ,I especially love taking city trips. Summer is almost here and the holidays are almost begun, and that means it's time for traveling. 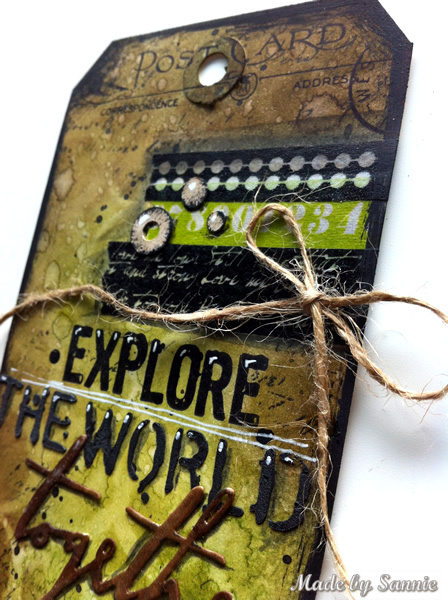 So I made a travel tag. 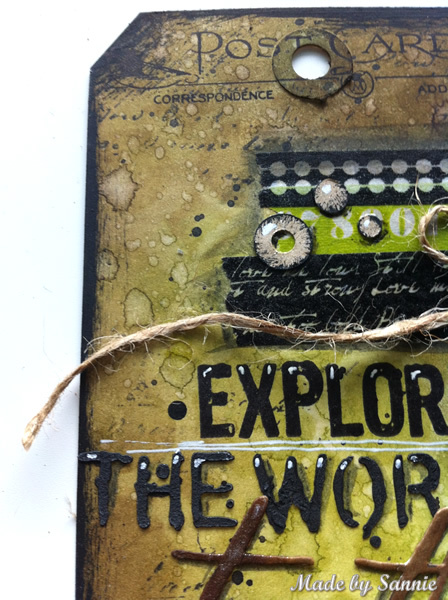 I'm doing the Summer of Creative Chemistry and I fell back in love with the dark grungy vintage distress colors. I've used Peeled Paint, Forest Moss, Walnut Stain, Broken China and Ground Espresso for building up the background. The Ringer stencil is going to be a new favorite, I think. So you're warned ... The die (thanks Marzena) fits perfectly with my love of city trips. And let's face it, it's much more fun to explore the world together, right? 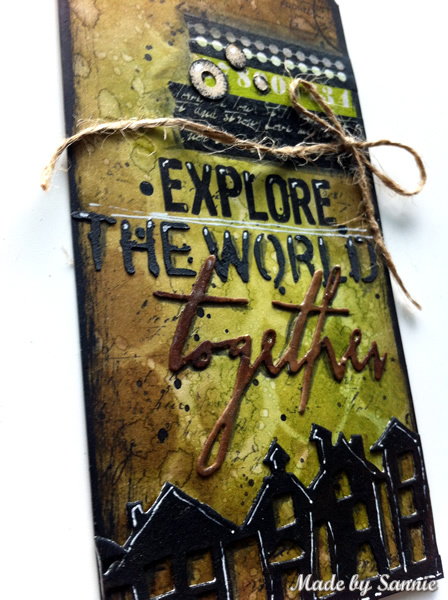 On this tag I used a few stamps from the Simon Says Stamp Enjoy the Journey stamp set they did with Darkroom Door last STAMPtember. 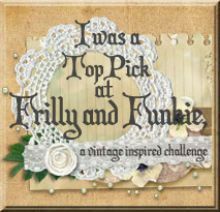 To join in all you need to do is make a project that fits this weeks challenge and you can be the winner of the $50 gift voucher that our amazing sponsor Simon Says Stamp offers. This prize will go to a random entry. 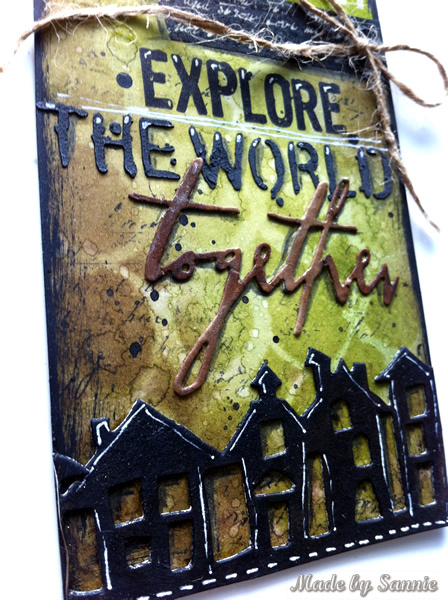 So go over to the Simon Says Stamp Monday Challenge blog, let the DT members inspire you and join in the fun! You have until Monday 8am Ohio time. 1pm UK time, 2 pm CET to join in. If you use instagram add #sssmchallenge to your challenge entry uploads so we can see them on there too! Thank you for stopping by! Love to see you next time! I love your background on this tag, Sandra! The colors are amazing and I love how you outlined the houses. Beautiful! What a great grungy look! I love the use of the washi and the twine, and the white accents on the houses are so cool. Fabulous tag! I can't imagine what it would be like to film myself making a tag. It's really awesome that you take the time to do this for your readers. SO MUCH can be learned by watching your techniques and it's just plain fun to look over your shoulder, so to speak. I think I'll borrow your use of paint dabbers around the tag edges (I've always used ink) because the effect is great and looks so easy. 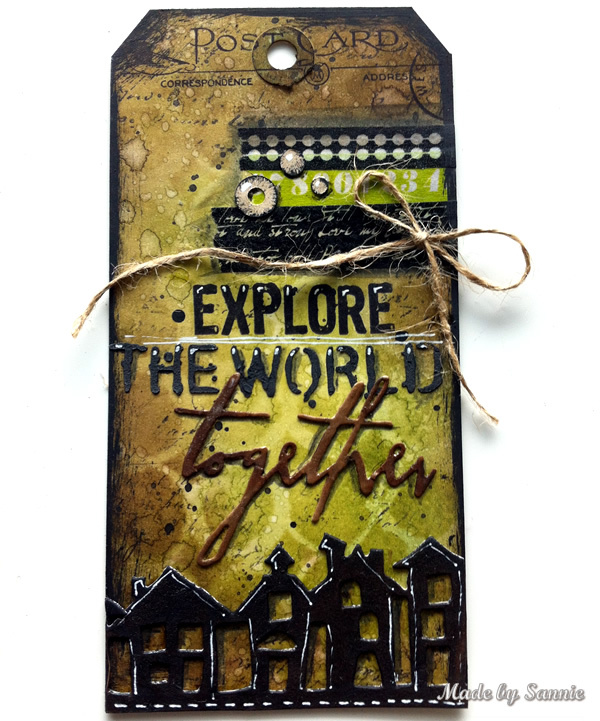 This is a really terrific tag and your colors choices are very appealing! I love your videos Sandra. Our styles are totally different but I think that helps me appreciate your style and talent even more!! I do like the way you put the white accents on the houses! What a fantastic tag! I especially love all the sections/rows and how you mixed different fonts together. The houses at the bottom look amazing with those subtle white highlights. Amazing work! You definitely hit the grunge mark with this one, Sandra! I always love those little circles you add, and the tiny houses at the bottom with the bit of "sewing" are adorable!